Former Edcouch City Manager Noe Cavazos has filed a lawsuit claiming the city violated terms of his employment contract, leaving him without severance pay and benefits. 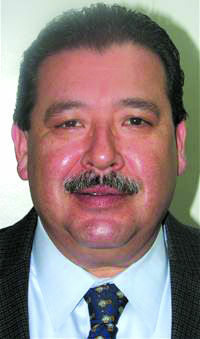 But the legitimacy of the contract is in question, according to Edcouch Mayor Virgino Gonzalez. Cavazos filed the lawsuit on Sept. 21, five months after mutually cutting ties with the city. Cavazos signed a two-year employment contract, ending April 2017, according to the lawsuit. Terms of the contract state “should the city decide not to employ the city manager beyond the term of this contract, or renew the contract, city shall pay the city manager the equivalent of six months’ salary in addition to all other benefits allowed,” according to the lawsuit. “There (are) different legal issues that have to be looked at before we decide what we’re going to do,” said Javier Villalobos, the city attorney for Edcouch. Cavazos, who said he was hospitalized after his employment with the city had ended, realized he no longer had city healthcare benefits. “If it was going to be outlined in the agreement, the agreement was never formalized,” Villalobos said. Attorney Roel Esquivel is representing Cavazos, who requested the matter be decided by a jury. “We’re going to defend it, and of course, should there be any written contract, we’ll provide it to whatever party needs it,” Villalobos said. Cavazos is seeking damages, attorney’s fees and court costs.